While in Carrick-on-Shannon, Leitrim, last week I was delighted to see the Costello Memorial Chapel was open to the public. This tiny chapel is said to be the second smallest in the world and was built by a heartbroken husband for his lost love. They are laid to rest side by side under glass. Their crumbling coffins are fascinating to look at. I have taken photos of the whole story on the plaques outside. below is a tiny tin with willow pattern crockery and sleepy cat. Inside it has a jigsaw puzzle. Below is the old sewing box given to me by my friend, Nuala. It was her late aunt's and was filled with loads of vintage sewing notions and a huge collection of embroidery threads. Thanks Nuala! Next is a cute little Bo peep bell. shoe pin cushion, ceramic thread box and a tin box of old dressmakers pins. Underneath them you can see the two fabric covered journals. I did some crafting too. I had waited ages to get my sewing machine fixed and so I bought some plain towels and decorated them with vintage lace trims. I tried my hand at making some hats from what I had to hand in my extensive stash. No matter how much I use it seems to get no smaller! Is your "Stash" like that? Goth Fascinator featuring a real watch! Pretty little bottle filled with old buttons. Some gorgeous old Irish lace hankies and some old wedding illustrations to display them with. A 1920's book on wild flowers, also with illustrations. I have been using it to identify some of the wild flowers that grow around the cottage. I will leave you with this picture I call....Sleeping with the enemy! Hi all. Just heard of a fabulous vintage fair that will be held in Dun Laoghaireon 18th April. Being run by Vintage Ireland and was a MEGA success last year. For the best in Irish Vintage...be there! More details ?.... click on link below. One of the exhibitors on the day will be one of my favourites for fab vintage...Vertigo Vintage and here is just one of the fabulous gowns she will have for sale on the day. Isn't this DIVINE????!!!! So romantic and feminine. This is a forties wedding or ball gown in palest pink. As you can see it is a small size. Exquisitely made in Nottingham. Speaking of Nottingham here is my latest find: a Nottingham lace bookmark and a vintage romantic novel. Now, romantic fiction is not my fav kind of read but I like to keep this on the bedside and dip into it for a few pages when I can't sleep. I love to lounge in my vintage long nylon nightgowns pretending to be an oldstyle movie star! 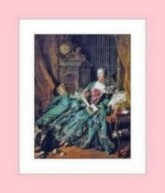 For more of my vintage stuff I have included the links below - sorry, no more Schiaparelli's left! Not only that but they were jam packed with goodies. Kimme really knows what floats my boat! Also the traditional pack of jelly frogs for my froglovin' hubby....AND a book called "The Free Range Knitter" Wonderful stories about and by knitters. I have this in the cottage to browse by the fire. I love it. Thanks so much Kimme. You are a star! An Angel Sings "She Moved Through the Fair"
Now ...a real treat for you. This link is your passport to hear the voice of an angel. Chloe Coyle, winner of The All Ireland Talent Show...(our X Factor) Chloe is only 13 years old. Also check out her rendition of Ave Maria and be moved to tears...Amazing talent. Getting Ready for St Paddy's Day and saying "I LOVE YOU"
I have been AWOL for a while as I have been making all sorts of green things for St Patrick's Day which is fast approaching. I made some hats and shoes for leprechauns ...yup, leprechauns or babies, you know ...little people. Very little people. Ahhh...just testing ye'. Those are obviously the shoes. Cute or wha? Being modelled by my grandchild. Ah-hem...now here is the hat. 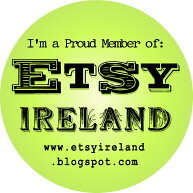 And the inevitable St Patrick's day badge. I love making these, so easy and perfect for those crafters who have no patience as they work up so fast. The importance of saying..... "I LOVE YOU"
On a more serious note. I have just done something I have not done for years, decades, maybe I never did it before...at least not because of a song. A book - yes, a film, definitely yes, but a song ...NO.. But I have just cried listening to a song written and performed by Gilbert O' Sullivan on our Late Late Show (the longest running chat show in the world). Do you remember him? A big hit in Ireland and Great Britain in the seventies. Well he just performed a BEAUTIFUL song he wrote ...about an OUTRAGE???? Is it possible to write such a thing??? YES, and Gilbert did, and I am going to buy his new album because of it. It has verses that question again and again, how can it be justified by THEM... when ... that upon finding themselves trapped in the buildings, those wonderful people all (all who could) called their loved ones and all they could say was " I love you"
Such a moving song and I am still gobsmacked that someone could write such a beautiful song about something that should have no beauty associated with it - but does, because they, who when it came to the most important moment in their lives, had only one thing to say, and it was " I LOVE YOU"
Here is the link to it on youtube Sound is a bit wobbly but you'll love it. Have a lovely weekend and tell those you love that you do. Oh well, I have some lovely pics to share with you. Last weekend I went to Leitrim to spend a girly weekend with Angie, Zinda, Martina and Katie. - the Girls ( I use the term loosley!) We had a very late night - three hours sleep is a very late night, right? and then....you wont beleive this but we went shopping for ...wait for it....12 hours! Yes, 10 am to 10pm. We went to Enniskillen just over the border in Northern Ireland. The shops close at 5.30pm but Zinda, who was driving, brought us all to ASDA and they shopped until closing time there! I didn't, I bought some wool and needles and made a baby's hat while waiting for them. I was shopped out at 5.30. Now, shopping in Asda might seem odd to you who have Asdas on your doorstep but we don't have them in the south so it was a real treat and they found some great bargains in all departments. Here's my first lovely pic. We were having breakfast in Angies house, The Old Schoolhouse and I just snapped these pictures of the wall along the table. The light was just right and it really speaks of the peace and quiet that is to be had in this lovley old house. And some close ups of the details including this lovely old Irish proverb. And in the living room I spotted this little rainbow dancing on the ceiling between the beams. Maybe this house is at the end of the rainbow! Delightful goldtone locket that has the teenyweeniest cross stitch rose on it. The stitches are minute! A close up of them. Who has the patience to stitch like this? (not to mention the eyesight) the locket is only an inch wide and the cross stitch is only 5mm. I have a gut feeling that this is actually gold ....mmm, if it is then I have found a real treasure. It has a definite stamp but I can't read it...can you? Here is a close up of it. There it is on the centre hinge. Maybe it is only a mark in the metal but I like to believe it is gold. Does anyone know a way to find out if something is gold? Next is an old dressing table set. I actually have a pale blue one very like this but wont ever sell that as it belonged to my great-grandaunt and she got it as a wedding present 80-ish years ago. It is as fresh and new as the day she got it as a young bride. It is one of my treasures but I use it daily and wash it and iron it and it still comes up like new. They don't make them like that any more. I don't believe in saving good stuff for "best" ...today is special enough to use your best. And then we have this exquisite drawn threadwork table topper. I am always amazed when I look closely at the hand work on these old linens. See the white embroidery? So perfect I thought it was machined at first but it is not. here is a close up of it and the thread work and embroidery. Now this item came as part of a collection and one of the other ones has an ornate cross on it so it was probably an alter cloth work by hand by the nuns. I can't get enough of old Irish linens. Speaking of old linens here is what I made from the old chenille candlewick patches I got on Ebay....a cute raggy cushion. What else did I make last week? Oh yes, I made these fishnet gauntlets for my niece, Jessie as she is always doing stuff for us. And now for the bad news.... We had a really bad spell of weather last month. Untold temperatures of minus 16 and our water pipes burst up at the cottage. Loads of damage but somehow I just can't get het up about it. We can't stay there until it is fixed but what the hell...I am always saying " Your healt is your wealth"
PAY SPECIAL ATTENTION TO THE WORDING AND SPELLING. IF YOU KNOW THE BIBLE EVEN A LITTLE, YOU'LL FIND THIS HILARIOUS! IT COMES FROM A CATHOLIC ELEMENTARY SCHOOL TEST. 2. ADAM AND EVE WERE CREATED FROM AN APPLE TREE . NOAH'S WIFE WAS JOAN OF ARK. NOAH BUILT AND ARK AND THE ANIMALS CAME ON IN PEARS. 9. THE FIRST COMMANDMENTS WAS WHEN EVE TOLD ADAM TO EAT THE APP! LE. 15. WHEN MARY HEARD SH! E WAS TH E MOTHER OF JESUS, SHE SANG THE MAGNA CARTA. 24. ST... PAUL CAVORTED TO CHRISTIANITY, HE PREACHED HOLY ACRIMONY WHICH IS ANOTHER NAME FOR MARRAIGE. Ooooh I have been a bad blogger of late. I have not been posting as I have been very busy with ...well...things. I produced lots. I produced this. NO! Not the baby (I'm well gone the time ladies and gentlemen!) no no - the blanket for Gawd's sake! Speaking of white...and I was. We drove home last Sunday in freezing fog. I had heard of this but had neve seen it before. It was quite eerie really but also quite beautiful. Here are some of the photos I took on the rocky road to Dub-il-lin- Whack -fal dal- dee -ey! (Sorry, that's a song and I broke into it (breaking and entering methinks)) Well, I'm guilty of something and it's not being in tune. The trees were bedecked with lace by Mother Nature. It was a beautiful day in Leitrim so we went up our mountain to see 'cos we can see for miles from there. This is the beautiful view I captured. If you look to the mid right you can actually see the freezing fog ...it is the white "low hanging cloud" that is seen there. Three counties can be seen here on a clear day. This is the obstructed view - believe it or not! I will take one for you on a clear day. I need to take three as it is panoramic and I need to string them toghether to get the full effect. Anyway when I saw this pic on her Facebook I could only see my Ma - on her wedding day. Can you see the azz-em-blenz? MMM...hard to believe that there is a whole daughter between them. Anyway, Little Pam is coming over here for a visit on Feb 4th and the whole clan are heading for The Old Schoolhouse for a HUMDINGER of a shindig - thanks to Angie & Ed (the best host and hostess in the West!) Many a photo to come of that hooley. Hey, Stewart! There will be a welcome in the highlands for ye' Whooohooo! I should point out at this point that that is NOT Stewart with Pam in photo ('cos if it is he has some serious cleavage going on) No, that's Pam's pal. One yoyo (Euro) who would be without a bit of romance? Also made these fab little felt shoes from an old reproduced 1948 pattern. My favourite pastimes are crafting and thrifting and I got my fill of both this past week. Yesterday I went thrifting with sister Angie and found some lovely Irish linens. Here are some of them. The rest I will list when I have given them a good hot wash to take out some stains. Very large red Irish linen napkins...Amazing rich shade of red. I love these and think they would be wonderful for Christmas. I have listed them though as I know I can't keep EVERYTHING I find. OOOOOhhhhh I love the funky rose on this one. Another olive green find. 60's dangling earrings. ....very Mary Quant! More strong colours...This is a spiral scarf I made and SOLD!!! this week. I also made a matching hat and the woman bought that too. I'll have to make more now of course. I have lots of this wool which is a vintage French Mohair and pure delight to work with or wear. I like the way these arm warmers can be worn hooked over the fingers or loose at the wrist. This shows the great book I got the pattern from "Positively Crochet"
It's from my local library but I may have to buy this one as it has some easy lovely patterns. Next is a hand crafted brooch or pin I was given at Christmas. I really want to find out how it was made as I would like to make some to sell. Strong rich colours caught my eye everywhere I went and I also bought this set of woven wool and Irish linen napkins and placemats. Next I found a sweet little Hobbie Holly or Amish wooden doll. She has no face but is as cute as a button with her long legged bloomers! OK - enough of the strong winter colours. Here are some pastel chenille patchwork squares I bought to make some fluffy raggy cushions....These were kinda expensive but I reason that if I sell a couple of the resulting cushions pillows I can make my money back...right? Well, that's what I tell myself anyway. Ohhh, I have spent a lovely week off work and just relaxing and crafting to my heart's content. This is a snood or cowel I crocheted to sell. I so enjoyed making it I want to make one to keep! How can I make my fortune if I want to keep everything I make? And this is my latest creation...a boudoir corsage. Yes, I invented such a thing...after all why just wear a corsage on your daytime clothes? ...and now for the least expensive item...my 2" handmade pin brooches of miniature knitting. I LOVE making these and wear one myself. This is something that is not for sale. I made it for my nephew, Luke who is getting married to the lovely Aimee next Sat. 9th Jan in Avoca, Wicklow. Luke was so very fond of my dad that he is going to wear one of his ties at his wedding. I made this shadow box and included some wood shavings and my dad's old wooden rule. I labeled it "WIlla's Rule"I then added the words that my Da used to always say to us..." The man who never made a mistake - never made anything!" I'll bring you some photos of the lovely young couple next week. I almost forgot to say......Happy New Year to you all! Still we all survived........ onwards and upwards! 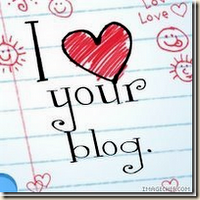 Now, I want to say hello and welcome to a new blogger, my friend in USA, Mimi. Beautiful lap blanket made for me by my sister in law, Clare. thanks Clare. She gave me the pattern for it and I have started one in pale green and cream myself. Nana (my mam) came over for dinner on 26th and put the lap blanket to good use. She road tested it for me and it passed muster! Hand crafted placemats from my sister, Catherine (also some gorgeous fabrics from Laura Ashley) thanks Catherine. And here is a knitting bag I made from the fabric my sis, Teeda in Canada sent me.... Thanks Teeda. more pics of my newly crafted knitting bag...showing the nifty inside pockets for your knittin' notions. Christmas table topper kit from Catherine. Gorgeous Art Deco tin box from Angie (among other lovely things - we did sister bags this year - a bag of assorted goodies rather than one big one) Love it. Yes, THAT book. I love it! and a sweet sewing basket from my sis in law Barbara. Thanks Babs. Here is a partially made teddy from the Sew Pretty Homestyle book. Easy peasy. He just needs another arm and leg and a good stuffing. I have also started the sleeping masks from it. V. easy too. Oh, and I got a Kindle Reader from Paul. It is fabulous. A pair of dancing shoes from son, Chris. (Not arrived yet, coming from Ebay) Thanks Chris. Stephen gave me an Audry Hepburn box set and some downloaded true crime books for the Kindle reader from Amazon. Thanks Steve. Yes, I was making pressies too. Here is Paul in his Dr Who scarf I made for him. I didn't get it done until the 26th! It is about 12 feet long. And no, he is not a long suffering husband wearing my creation for the sake of peace...he ASKED me to knit it for him. I did over imbibe the Vino Callapso though and woke up on the next day with the ten drummers having a jam in my skull and a tongue like Ghandi's flip flop... Ah sufferin' heart! My mam came over to have dinner with us and so did Anna, my lodger. Anna very kindly did a formal photo portrait of Mam and me. I'll be showing that too of course very soon. She asked if we wanted her to "Photoshop" it (to enhance our natural beauty) We said in unison "Yeah, go on - photoshop us to death!" It's Christmas Eve and I'm feeling ever so festive and looking forward to having a lovely family Christmas. Here are a few yuletide pics I took around the house today. Merry Christmas to you all! This is the wreath I made for my Da for Christmas. My baby, Jamie, is spending this Christmas in Amsterdam so this ceramic bauble is on the tree to remind me of him (as if I needed it!) Now here is a bit of camera shake for ye'! This bauble is to represent Pretty. this is our 30th year to have this little angel on the top of the tree. Lots more years left in her yet! Also Merry Christmas to Daisy and aunty Lilly and Pretty, Peace to you all. A Christmas Story - An Extraordinary Act of Kindness! I have not been able to bring myself to blog for a while due to feeling so low after the loss of my little dog, Pretty. But it's Christmas and I have had the privilage of being on the receiving end of an extraordinary act of kindness......the Christmas Spirit is alive and well. Read on to have your heart warmed in this magical season. When I came back from having Pretty put to sleep I met a former student of mine. Stephen Brady, a lovely young man that I have always had a soft spot for. He could tell how badly we felt the loss of her. Well, today he knocked on my door with a present. THANK YOU Stephen Brady. You are a gentleman and a gentle man. and you have restored my faith in human kindness. and look adorable while doing so! taking a piece of your broken heart with them. Thanks so much, Kimme, I will be making two of the projects from this lovely book - the pot holders and the tissue pouch over the holidays. Oooohhh.... how I love the 1950's table square! It is divine and just SO ME! You know my taste so well. Sorry, the edibles were gone before I could take a picture! Guess who? Choccy and frog gobblin' hubby that's who! Thank you very much. It really made my day today and I have gotten all Christmassy now! Merry Christmas Kimme and Co. It is with a heavy heart that I have to write the sad news that my wonderful little dog, Pretty had to be put to sleep yesterday. Bye Bye Pretty, we'll miss you very much. But life goes on and I had this post already done so I share it here with you. One of my favourite boxes in my considerable collection of boxes, is this stationery box from the 50's. It still has some of the original writing sheets in it. How gorgeous are the roses on this? Also Lovely to Look At. I caught my son, Chris, heading out the door for a night out. All dressed up and looking gorgeous so I had to grab my camera and snap! "Ah, hurry up Ma - I have a hot date waiting"
I made it for his christening. I can't believe I used to be able to do this stitch. It looks complicated to me now. I came across this piece of vintage ephemera to share with you. I love the graphics on the back of cherubs playing with photographic chemicals?!!! Cottage Cross Stitch Collection Gets Going! and then the lovely Twiggypeassticks sent me this little cottage beauty.. I will be framing this and keeping it. Very pretty. Thanks Twiggy. There is a bit of a magpie in me and I know I am not alone. I bought this bag of goodies recently. Yummy bits and bobs of vintage costume jewellery. Some of it wearable or saleable on Etsy and some of it broken and just begging to be used for craft. Here is my new red hat (every woman of a certain age should have a red hat) This is a wool beret like the one worn by Mary Kate Dannagher in the film The Quiet Man. I could not leave well enough alone so I made a little felt and button decoration for it (will add pic soon) I then decided it would be perfect to display my vintage hat pin collection. It sits in my hallway on my styrofoam model head. Another, broken seed beaded ring was perfect to finish off the knitted scarf with the rosette disk I showed you in an earlier post. I love how this scarf turned out and it is so cosy on these cold mornings. Pattern is called Rose and is on the Berroco website. Big Bottle of Bubbly Bath! After finishing this bottle of my favourite pink wine I was admiring the lovely bottle and thinking "What could I repurpose this lovely shaped bottle for?" Then it came to me....and this is what I made from it. I filled it with pink bubble bath, added a few drops of rose essential oil, a handmade tag, some vintage trims, pins and beads. The label I saved when I received some lovely crafting supplies from Southern Patina on Etsy. I punched a hole each side and threaded some vintage trim and tied it at the back. Under the name it says "Handmade Pretties"
Sugar beads and some pink beads speared on a heart long pin in the cork. These should be enough to warn any potential imbibers that this not a regualar bottle of wine! Even the back got a new look. Hours of lovely soaking to be had from this bath wine!